"A visit to a cinema is a little outing in itself. 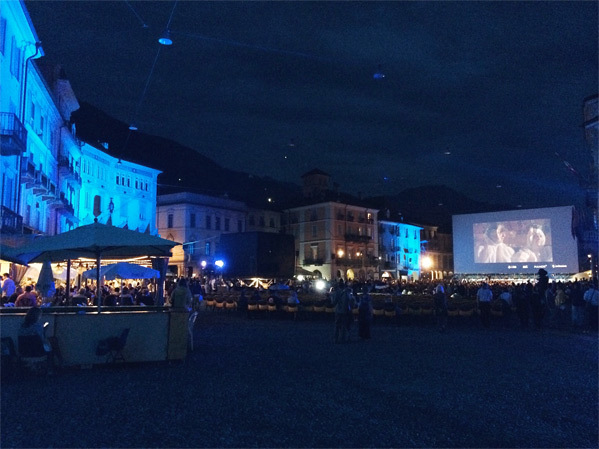 It breaks the monotony of an afternoon or evening; it gives a change from the surroundings of home, however pleasant…" [-Ivor Novello] Last week I stopped by the Locarno Film Festival in Switzerland, located in the lake-mountain town of Locarno on Lake Maggiore. 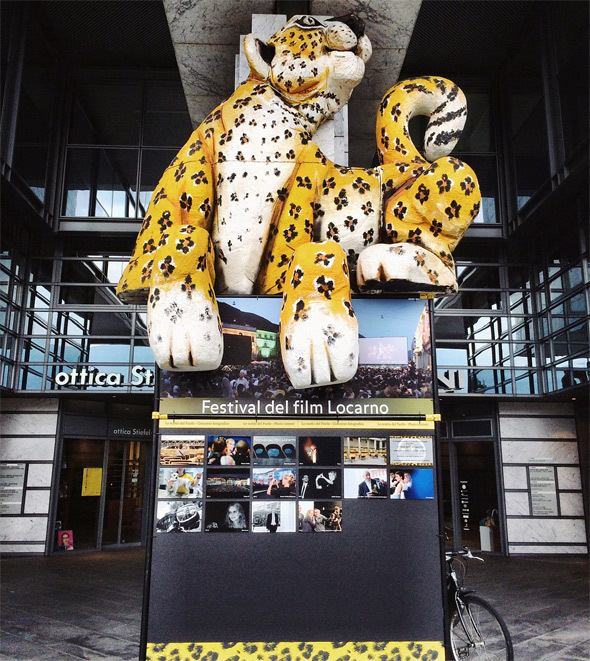 The festival has been running since 1946, famous for its Piazza Grande outdoor venue, yellow & black color scheme, and leopard award/logo. In addition to my coverage of the films I saw at the fest, I wanted to share some of the images from my visit, as it was such a charming and gorgeous place to get immersed in cinema. 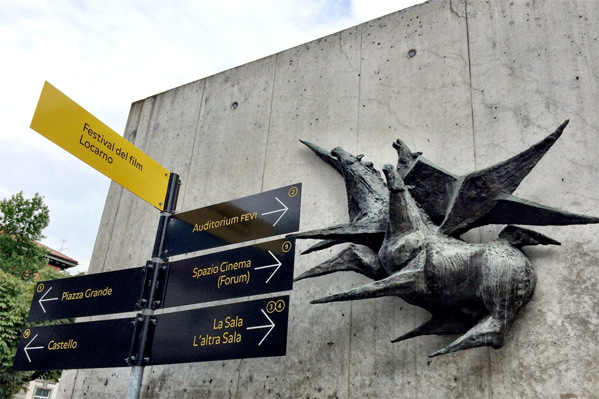 Here's our set of photos from the 67th Locarno Film Festival. You can also view my Storehouse feature. 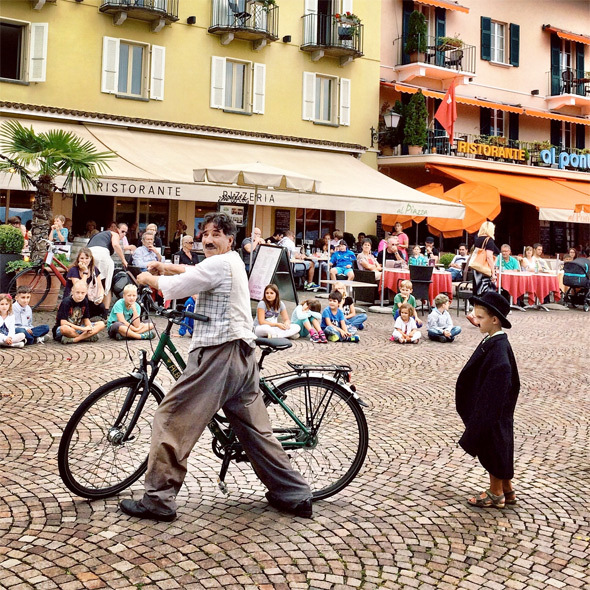 Below - a street performer as Charlie Chaplin interacting with kids in the neighboring town of Ascona. 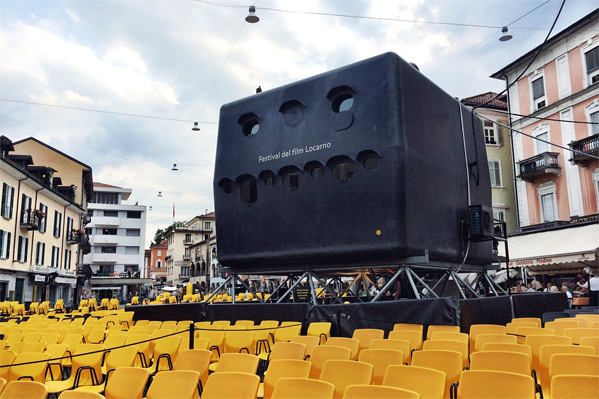 Below - the projection booth in the Piazza Grande that resembles some kind of spaceship - so cool! That's it for my own photos, as I could only take so many over the four days I was in town. But it was lovely. Thanks for the memories, Locarno. For more information on the festival, visit their website at pardolive.ch. 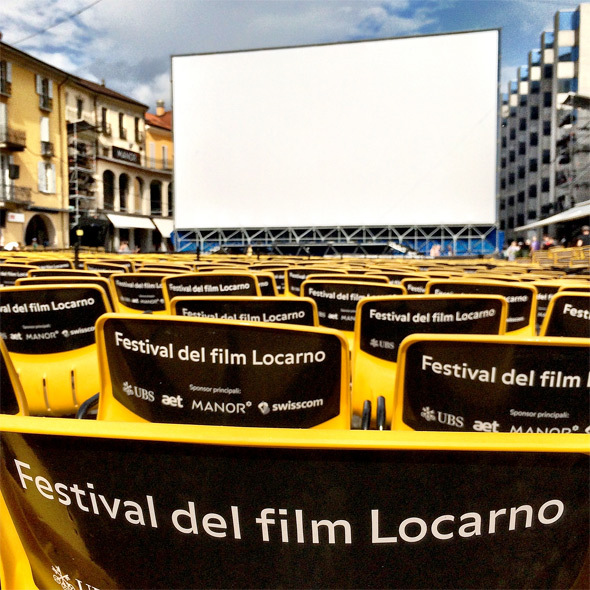 The 67th Locarno Film Festival has come to an end, with the awards announced this past weekend. 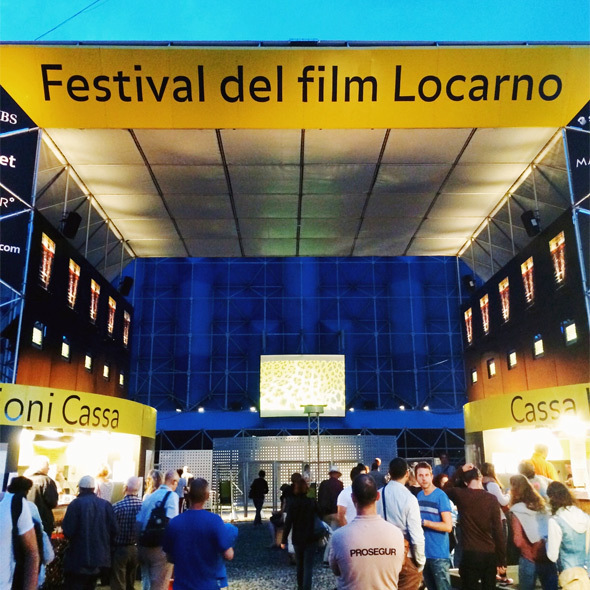 I visited the festival during its first weekend and caught five films, which I discussed in this post about attending Locarno for my first time. 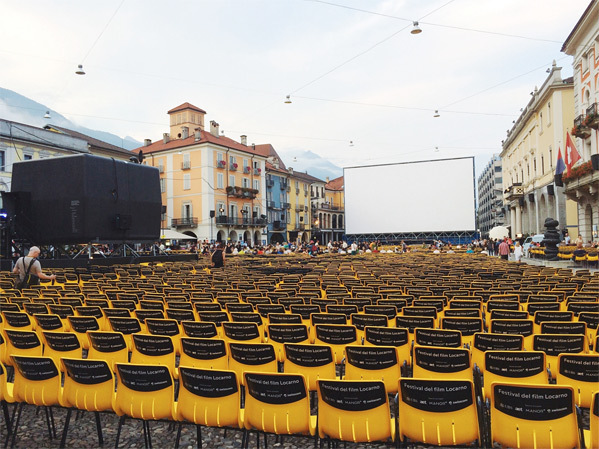 Whether you're visiting for the film festival next year or just in the area, Locarno (and the nearby Ascona) is a wonderful place to visit any time of the year, but especially when the Piazza Grande is converted into the outdoor cinema and films are playing every night. The best way to capture the atmosphere is in photos showing just how magical the festival is, but above all one must visit it themselves. Thanks for sharing these AB! Locarno sounds lovely.